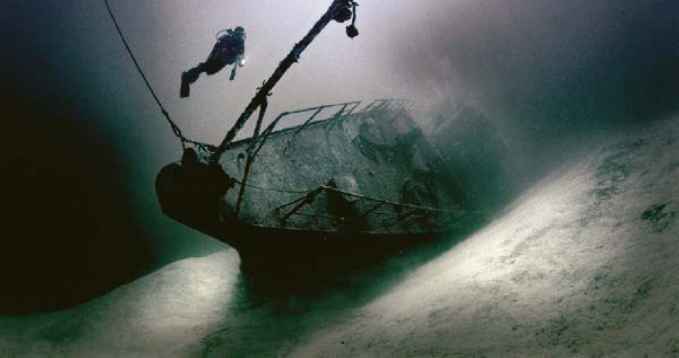 Visions in the Sea, the annual, two-day underwater photography conference staged in London by Ocean Optics, will have a new look for 2001. Now in its fifth year, the conference at Imperial College, Exhibition Way, South Kensington, on the weekend of October 27 and 28, will focus on specific aspects of underwater photography, including understanding light, creative flash, innovative close-up techniques, finding the picture, how to capture fish on their best behaviour and wreck photography. 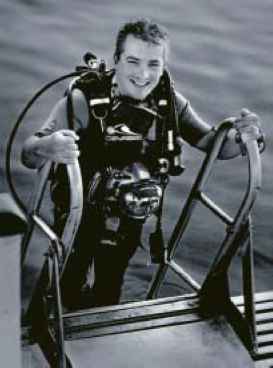 Linda Dunk, the first woman chairman of the British Society of Underwater Photographers. She won BSoUP's open portfolio competition in 1994, 1995 and 1996 and was second in the Society's beginners' portfolio competition in 1993. Having enjoyed being in the business of taking pictures of the marine world for over ten years, Linda is keen to encourage more women to become active in this challenging but rewarding field. Martin Edge, who has a great passion and flair for teaching the skills of underwater photography and, probably more than any other person today, has improved the general standards of taking pictures in the sea. 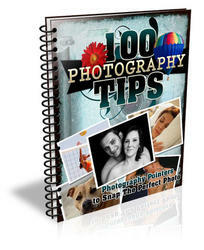 His book, "The Underwater Photographer", is now in its second edition and continues to be a popular guide to successful underwater photography. Martin has led innumerable photo expeditions around the world. Mark Webster, an established underwater photographer and photo-journalist, has an impressive list of successes in international events and has represented the UK four times at the CMAS World Championships of Underwater Photography, winning silver and bronze medals and third position overall in 1996 plus two top ten placings in 1998, the latter year in which first book, "The Art and Technique of Underwater Photography", was launched. During the last ten years, Mark has hosted regular photography workshops in Red Sea and has gained a reputation for passing on his skills and advice in an informal and productive manner. Paul Kay, British underwater photographer of the year in Dive Sights 2000, runs underwater photography courses and workshops with an emphasis on the understanding of the basic photographic techniques relating to underwater photography. Living in North Wales, he is a great enthusiast for diving in British waters as well as warmer parts of the world. He has been a freelance photographer for over 11 years and works in industrial and illustrative photography, produces stock landscape, environmental and underwater images and writes illustrated articles. 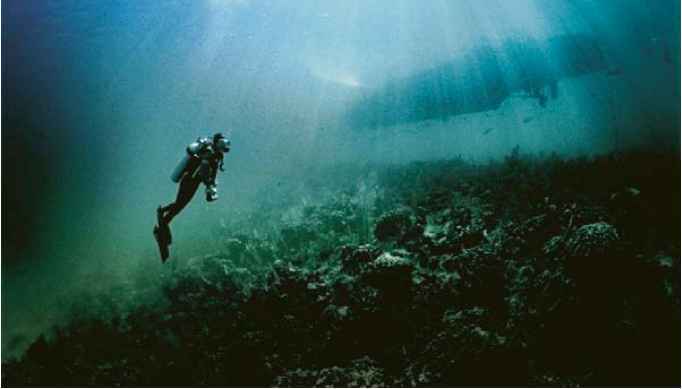 to photographing life on coral reefs. He believes that greater knowledge of the animals found on coral reefs and how a coral reef ecosystem works will add an extra dimension to our photography. A highlight will be a talk on adventure photography by Jack Jackson, who has worked everywhere from the Arctic to the tropics, both on land and underwater. He is a regular contributor and lecturer at the London and Birmingham dive shows as well as travel shows in London and top venues in Europe and the Middle East. 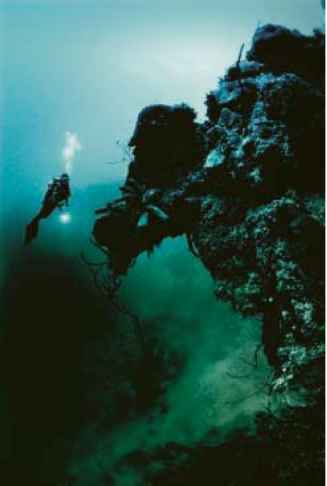 He is the author of hundreds of magazine articles and 14 books, eight of which deal with underwater subjects. and Sub Sea Magazine and has extended his international reputation with third place in the Blue Dolphin competition and second place in the World Underwater Photography Championships . Please reserve place(s) for me for the underwater photographic conference at Imperial College, London, on the weekend of October 27/28, 2001.Delegate fee for attending the two day conference, including morning coffee and afternoon tea each day as well as a buffet lunch -- £99.95. • A social evening with Constantinos Petrinos in the Holland Club, Imperial College, from 6.30 to 8.30pm, after which a cash bar will remain open for delegates who wish to remain. Additional fee of £10.00 includes two glasses of wine. Crisps will be available from the bar. Bookings can be made by phoning the conference hotline - 020 7930 8408 or fax 020 7839 6148. Ocean Optics, 13 Northumberland Avenue, London WC2N 5AQ. I had been in contact with Jeff Parker, Marketing director at A.P.Valves,and he'd seen my underwater images on my web site. We finally met at LIDS 2000 and over a coffee looked through my portfolio, talked about photography and how we could work together on an advertising campaign. My underwater work has always been personal work. Often it is shot when I'm taking a summer break from the studio and I consider it very important to be shooting these images for myself, with no brief and no art director. The outcome of my meeting with Jeff was that I'd go away and shoot a series of strong images where the diver in each shot was wearing a Buddy BCD. The shots would be used for A4 ads and A3 posters. Okay, so there was a brief of sorts but a very loose one. I was more than happy with this arrangement and so away I went for two weeks to Little Cayman, with my buddy and model Kim Linford. The Caymans would give us good visibility, reasonably predictable light, interesting topography plus the chance to shoot the Russian Frigate at Cayman Brac. Firstly light. We always tried to shoot early or late in the day so as to take advantage of the moulding and rays that the light produces at those times of day. for logos, text and headlines etc. Because I was shooting black and white it was important to have strong composition. Light and space will always help you enormously here. Look for strong shapes and think about the light. Lastly the star of the show, the model. It was vital that she appeared comfortably within the composition. Kim and I had devised various hand signals so I can direct her into the spaces of an image and carefully position her in the water. Luckily for me Kim is extremely comfortable underwater and generally positions herself with little or no direction while also paying attention to her gauges, torch beam direction and fin alignment etc. I also like to wait for her to exhale as I think air as bubbles look great. With all of this to consider I'm sure it is harder work for her than it is for me most of the time! When I give the out of film sign (which is dangerously close to the out of air sign!) she's off to do what she enjoys most, slowly finning along the reef looking at "cheeky" fish. When all is said and done I tried to make the images look as natural and as casually observed as possible. I used a Nikon F90x with Nikkor 16mm f2.8 AF-D fisheye housed in a Subal housing. Much to the irritation of the guys at Optics I still don't use any flash (one day Steve!) and as a result have a very simple and easy to handle underwater rig. The Subal is a joy to use and the F90x has more than enough features to keep me happy. The 16mm is an amazing lens. Pin sharp and incredible value for money. Film stock is Fuji Neopan 400 rated at 800asa. Negatives were scanned using an Imacon Flextight Precision II and worked up on system using Live Picture 2.6.2. Final rgb.tif's were sharpened and converted to 70mb cmyk.tif files using a ColorSync workflow and PhotoShop 6.